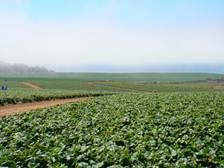 We took the farm to fork cold chain distribution process to a whole new level when we went to Watsonville, CA to visit a strawberry farm to analyze and improve the harvest and precooling process. As we stood in the 34°F precooler taking temperature measurements of the strawberries we thought we were cold, little did we know that 2 weeks later we would be seeing these same strawberries at the top of the world at -68°F. 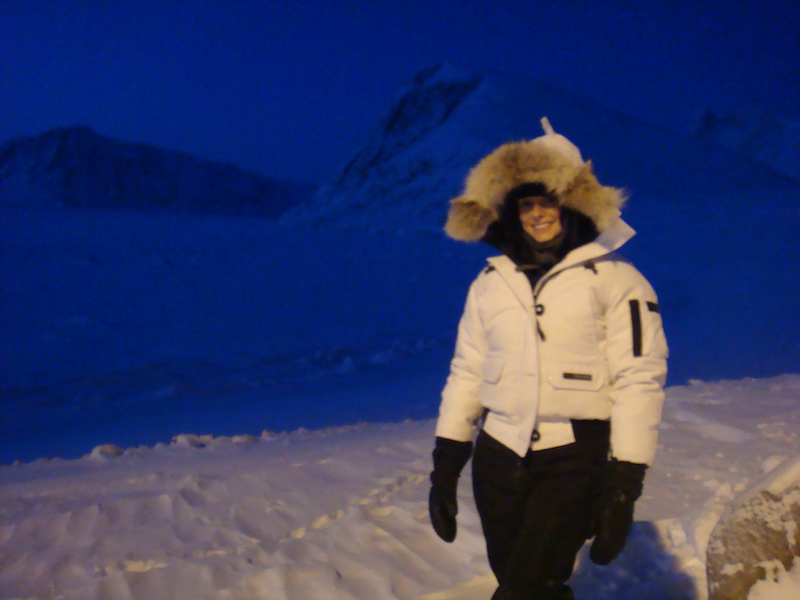 After 7 plane rides we made it to Grise Fiord, the northernmost civilian community in the Canadian Arctic. Arriving in the middle of January meant 24-hour darkness, and when we say darkness, we mean it. It was blacker than any sky we have ever seen yet so beautiful as the dark sky was hardly even visible through the blanket of stars. If we got lost, too bad because compasses are useless as the small community of 149 people live above the magnetic north pole. For most of us, a trip to the grocery store is routine, and not a daily concern. However, for people living in remote northern communities in the Canadian Arctic, this simple act may be their biggest worry. This is the case for over 80,000 people who live throughout 80 communities across the northern part of Canada. A majority of these communities can only be reached by air and the delivery of food must be done in one of the world’s harshest conditions. The lack of roads and the extreme weather conditions make the distribution processes much more complex and time-consuming than in southern Canada. In order to reach the isolated communities of the north, most food must travel over 2,000 miles by costly air transportation. The typical journey from their Canadian origin to their final destination may take between 3 to 7 days. 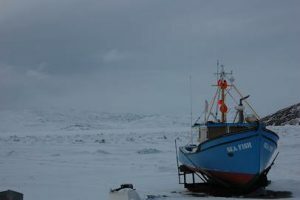 The Canadian Food Mail Program addresses these cost issues by subsidizing the high cost of transporting nutritious and perishable foods to these remote communities. Delivering food to the most remote northern communities in the world requires a well-designed distribution system. These communities are located where the world’s worst environmental conditions occur, therefore, the challenges are enormous for delivering fresh food. For the past 20 years, Canada Post has been responsible for providing nutritional food to these communities. 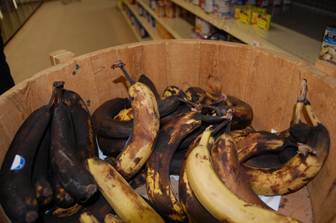 In 1994 the Inuit communities were complaining about receiving only black bananas, causing Canada Post to contact Dr. Emond in search of a solution. 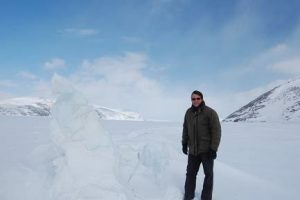 Since then he has traveled to over 50 Inuit communities to inspect and analyze the perishable foods, allowing for the gaps in the cold chain to be seen and improved. Through our involvement with Canada Post, we have enhanced the distribution of food and increased the quality of the perishable food items being delivered to the communities. We developed standard operating procedures, quality control guidelines, and inspection programs that require a minimum of 3 days of shelf life. Through our efforts, stringent requirements have been put in place to ensure that the food will reach these communities in good conditions. Working with INAC and CPC we have developed guidelines and requirements to ensure that products shipped to these communities will maintain an acceptable level of quality at the destination. There are requirements for each step of the journey including, handling, transportation, and packaging. 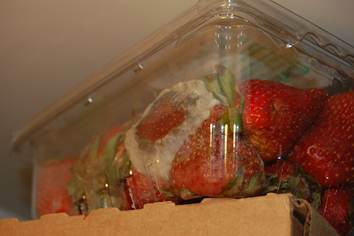 Specific requirements for quality, temperature, box liners, cushioning material, and insulation are crucial to ensure the perishable goods arrive at their destination in the best possible condition.